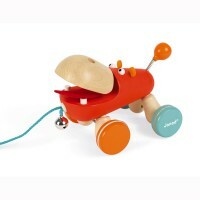 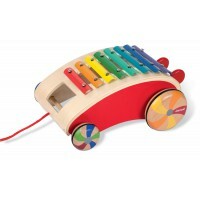 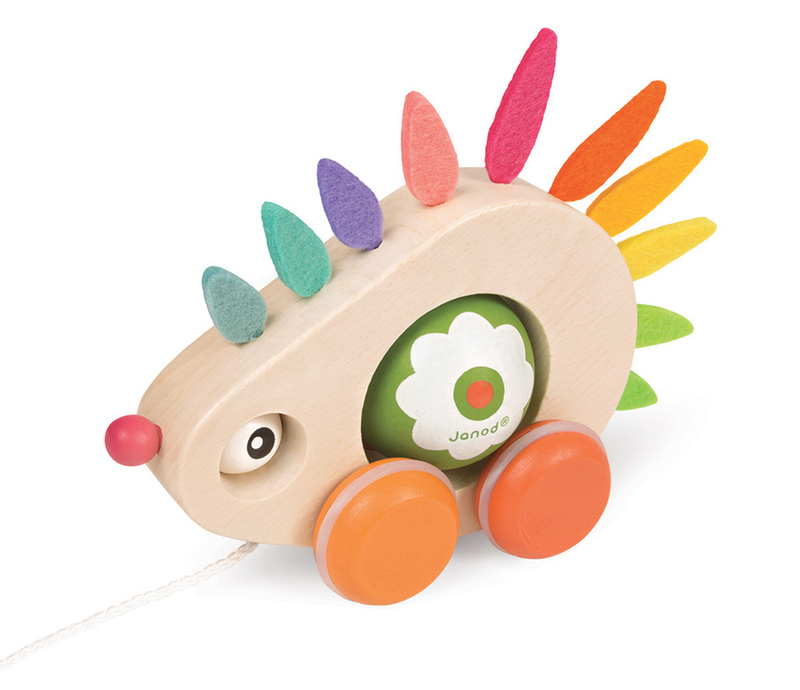 Brightly coloured felt quills and movable eyes give the Pull Along Hedgehog a quirky look and a sense of fun. 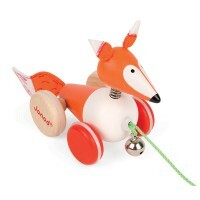 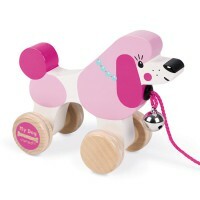 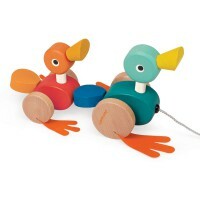 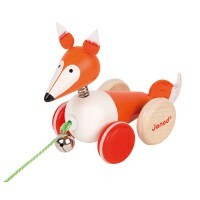 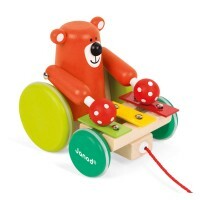 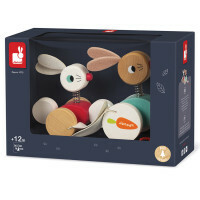 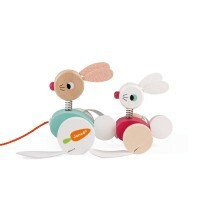 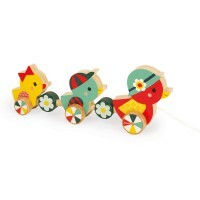 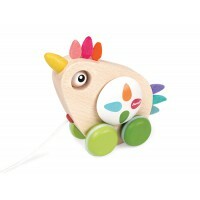 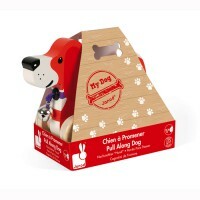 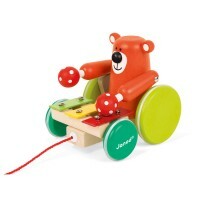 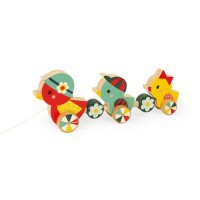 Crafted from FSC certified wood and with soft rubber grippers on his wheels to ensure a quiet and smooth ride, gently pull him along to watch the flower spin around in his tummy. 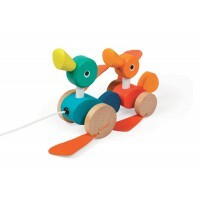 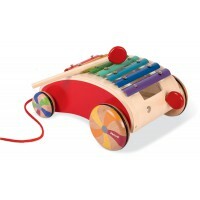 Ideal for those beginning to walk who have a sense of adventure and love the outdoors!